As a biker, you probably think your biggest concern is other drivers, but what happens after a collision may have far greater consequences. If you’ve been injured in a motorcycling accident, call the experienced and aggressive attorneys at Montagna Klein Camden. We’ll fight to get the compensation you deserve. Motorcycle riders are more vulnerable to serious injuries when involved in accidents. With nothing but the wind above you and the road just inches below your feet, almost any motorcycle accident can result in some type of injury. No matter how alert and careful you are, it only takes one distracted automobile driver to knock you off your bike and send you crashing to the pavement. What happens next is critical. Don’t let another motorist’s lack of awareness or concern for your rights put you or other bikers at greater risk. Call an experienced lawyer who won’t let them get away with their careless and reckless behavior. The personal injury attorneys at Montagna Klein Camden are vigorous advocates for civilian and military motorcyclists involved in accidents across the Norfolk, Newport News, Virginia Beach, Chesapeake, Hampton, and Portsmouth areas. We offer more than 100 years of combined legal experience and have achieved millions of dollars in settlements. Call 877-622-8100 today for your free legal consultation. We specialize in helping military service members and their families who have been involved in motorcycle accidents. Our tenacious Personal Injury lawyers understand the insurance intricacies and special considerations involved with handling of motorcycle accidents involving military personnel. 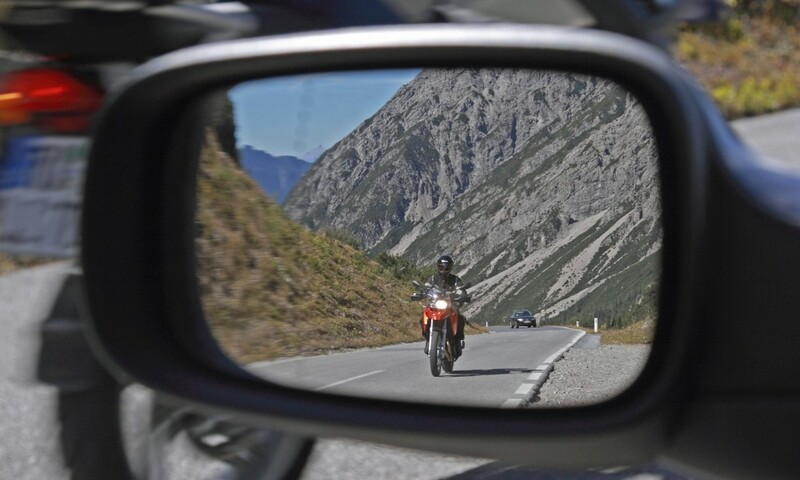 Although bikers enjoy the same rights on our roadways as car and truck drivers, negative attitudes toward motorcyclists can sometimes lead to predetermined assumptions that the motorcyclists are at fault in an accident. At Montagna Klein Camden, our attorneys will battle to make sure your rights are understood and protected, during settlement negotiations or at trial. Our goal is never to get you a quick settlement. It’s to get you the settlement you truly deserve based on your injuries and the circumstances surrounding your accident. Don’t try to go it alone; enlist the help of a veteran attorney who understands the procedure, requirements and expectations of the courtroom. Victims who try to represent themselves, or who don’t hire experienced motorcycle accident attorneys, often receive far less compensation than they should. Detailed documentation of the damage to your motorcycle, lost wages as well as physical and mental injuries are all critical to your settlement’s success. The attorneys at Montagna Klein Camden in Norfolk and Newport News, Virginia will take the time to dig deep and understand the circumstances surrounding your accident, as well as the full impact of your injuries. That kind of attention not only maximizes your settlement terms, it helps you make sound decisions moving forward with your case. If you are a civilian or a member of the military and you’ve been involved in a motorcycle accident, contact the attorneys at Montagna Klein Camden today. No other law firm will fight harder on your behalf. Don’t settle for less.